Tomorrow, the UK Court of Appeal will review the controversial case of a British infant, Charlie Gard. Charlie’s parents are appealing a recent High Court decision that gave doctors permission to withdraw his life support. They have raised money for Charlie to travel to the US for an experimental medical treatment. The legal decision for Charlie will be based upon an assessment of his best interests. He has a rare genetic disorder affecting his muscles and his brain. He has been on life support since last October and has been progressively deteriorating. A neurologist in the USA has suggested that experimental nucleoside treatment might, in theory, offer some benefit, though it has never previously been tried in this situation. The central ethical question is whether it would be best to provide the experimental treatment and continue intensive care for Charlie for several months more, or to withdraw treatment and allow him to die. How should we weigh up the risks and benefits of those two alternatives? We have previously written about this difficult question. In a pair of editorials in the Lancet medical journal, we expressed different points of view. Dominic Wilkinson argued that the proposed course of treatment would do more harm than good. In his view, it is likely that Charlie would experience pain and discomfort from continued treatment; it is also unlikely, given what is known about it, that Charlie would benefit from nucleoside treatment. In contrast, Julian Savulescu argued that it is not clear that continued mechanical ventilation in intensive care is so terrible a life that it would not be worth living. He argued that a slim chance of recovery could be worth taking and that Charlie’s suffering could be avoided with drugs. One approach to difficult decisions is to seek agreement or consensus. For example, doctors in an intensive care unit might hold a multi-disciplinary meeting to discuss a patient’s treatment, and whether it is worth continuing. If they all agree that treatment isn’t helping, they may then seek to withdraw life support. In the Charlie Gard case, the judges in the Court of Appeal will seek a decision that all of the judges, or at least a majority of the judges, feel is correct. However, in medicine, and perhaps even more so in ethics, there are situations where agreement is not possible, and reasonable people may reach different conclusions. What should we do then? We have previously written about the importance of recognising and acknowledging dissensus. When reasonable people, with the relevant knowledge and expertise, cannot agree, this points to genuine moral uncertainty about the best course of action. It obviously isn’t clear what the right thing to do is. In our paper in the journal Bioethics, we argued that where there is moral uncertainty, it shouldn’t be up to the doctor or to a group of doctors whether treatment is provided, or stopped – it should be up to the patient. Professional disagreement isn’t necessarily a bad thing. Sometimes it highlights the influence of values in reaching a decision, and that there may be more than one option available. How would a dissensus approach apply to the Charlie Gard case? In this case, there is disagreement – for example, there is the American neurologist who is prepared to provide treatment. And obviously, we too have disagreed, about the ethical evaluation of best interests. So does that mean that the appeal should be granted, and that experimental treatment should be provided for Charlie Gard? One important element of the dissensus approach is that it is based on reasonable disagreement. It cannot be that just any view counts. For example, imagine in another case, that parents had found a professional who was prepared to continue life support indefinitely despite clear evidence that a child was suffering, because they believed that crystal healing would lead to complete recovery. In that situation, the view that treatment should be provided/continued appears clearly unreasonable. A central issue for the Court of Appeal will be whether the view of the US neurologist represents a reasonable or unreasonable assessment of Charlie Gard’s best interests. But how do we work out what is reasonable and what is not? Here are two factors that they might take into account. First, a ‘reasonable’ view has to be one that is based on, and sensitive to the right kinds of reason. One of the expert witnesses in the original court case commented that “in the United States, provided there is funding, they will try anything.” If the willingness to provide treatment were based purely upon ability to pay and parental request, then that would clearly not be a reasonable view. As a society, we don’t think that parents can impose just any treatment that they like on their child if they can pay for it. Second, a ‘reasonable’ view has to be based upon the right factual knowledge. In the transcript from the High Court judgement, Justice Francis noted that the US expert had not seen or examined Charlie. The expert himself admitted to the difficulty of making an assessment at a distance “Perhaps, if I were there, I would support it [withdrawal of treatment]. Not seeing the child, not seeing progression, it’s difficult for me to make an assessment.” Our own views about this case are based upon information in the media and in the court transcripts. So while we can make a general assessment of the arguments and relevant factors, we do not have the right knowledge to assess the particular situation for this child. So here lies a possible way forward. Charlie Gard’s parents need to find one (ideally more than one) health professional who has assessed Charlie’s situation in detail, who would be willing and able to provide the medical treatment (including intensive care) that is requested, and who can convince the court that they are motivated by a sincere, thorough and careful assessment of Charlie’s best interests. That would provide evidence of reasonable disagreement, and, on the basis of our ‘dissensus’ argument, means that the parents’ request should be granted. If they cannot find such an expert, the decision made by the High Court should stand, and treatment should be withdrawn. One final point is worth making about the resource implications of these decisions. Agreement or disagreement about benefits and risks is not the only consideration. Even if there are professionals prepared to provide a treatment, sometimes it cannot be provided because it is not affordable within the public health system. The focus in the Charlie Gard legal case has always been on his best interests – not on the question of limited healthcare resources. His parents have raised more than £1.2 million to pay for his treatment in the US. So the decision about nucleoside treatment isn’t on the surface one that turns on limited resources. However, there is an additional way in which resources are relevant to the Charlie Gard case and others like it. Setting aside the legal costs, the delays in decision-making that have arisen because of this court case have meant that intensive treatment has now continued for many months after the point that doctors felt that it was no longer helping Charlie. Depending on how long it takes to reach a decision now, and on whether there are further appeals, treatment within the public health system may yet continue for weeks or months longer. By preventing other patients from accessing a scarce and highly specialised intensive care unit, that may cause greater harm to other children than the harm to Charlie from continued treatment. Paradoxically, this may provide a strong argument on the basis of limited NHS resources, that the Gard’s request should be granted and Charlie should be allowed to go to America. In my opinion, this isn’t (or shouldn’t be) controversial. The only reason someone other than the parents should be deciding a child’s “best interests” is if the parents have been deemed unable to act in the child’s best interests – in cases of abuse or neglect. It’s not for us to decide if his life is worth living. A friend of mine suffered a traumatic brain injury in a car crash. She cannot speak or walk, but she uses some sign language and communicates via iPad. Is life with limitations worse than death? Is life with pain and suffering worse than death? I would certainly say no, but the simplest answer is: It doesn’t matter. It’s not our call. It’s up to the individual or their proxy. As a parent, the idea that I could have medical care and all funding arranged, only to be told that it’s in my child’s best interest to die in this specific hospital, is TERRIFYING. An overstep of governmental authority. 2)But It is also about whether the State can administer Euthanasia to a child without the parents consent. It is George Orwell’s nightmare scenario. 3)It is also about the ethics of nucleoside treatment for a British citizen against the government’s medical ethics committee which does not approve of it in Britain as Great Ormand hospital had applied for permission for the same. It is about the approval of that treatment in UK, Charlie guard and his parents have become the scapegoat for that. If they allow it, then the question would be if US allows it, why not UK. GOSH is a hospital associated with UCL and a research facility too and they have an ulterior motive for this media storm and outrage. It is about funding for some PhD candidates from NHS. The judges have to weigh all the options and think logically but also with compassion because a human being and being human is two different things, heart of the matter ( emotionally attached parents who love him) and brain ( emotionally detached doctors who want the greater good) both should be given thought, and not just the logics. LOVE IS ALWAYS WORTH FIGHTING FOR! – that’s a parent’s job, if they don’t do it then they are not parents ! “about governmental authority over a child’s life vs parents wishes”. Some parents torture and murder their child – this is not the case here but it sets a precedent for government authority over parents’ wishes. This is not about euthanasia – euthanasia involves taking positive action to end a life – this is not the situation in this case, where positive action is required to keep charlie alive. I find it astonishing that in a society that arrests for assisted death /suicide it deems itself ok to go against parents (who have legal rights in theory ) to make their child die because great ormand street want to save face they’ve had a doctor whistle blow them saying they’re incompetent so how is their obvious wrong evwidence even allowed to be a basis for this decision …they say he has no eye contact he doesn’t open his eyes however the gard family have evidence he does , how would you feel if this was your child , what harm is there in letting him go to America his parents have given permission they’ve even stated if he is any pain in any way they will stop they want to help not harm him this case should never have got this far … human rights seem to have been stripped of this family and left a lot of us wondering if there is such a thing ! I am in full agreement with K allington ,we have a judicial system and a government that refuse to allow terminal ill people leave this life with dignity but are willing to end the life of a child that with this treatment albeit un proven might have a positive outcome for poor charlie. Maybe I,m being sceptical but this stinks of doctors unwilling to risk there reputation that they might have been wrong and also the cost to the NHS for on going treatment in the future if the treatment gave little charlie a future of some discription. Shame on the judges,doctors ,NHS and the government . Are GOSH afraid that Connie and Chris will sue them, if they allow Charlie to have this treatment in The States and it subsequently fails to cure or even improve his condition. I’m pretty sure they have nothing to fear on that count. On the other hand, they have EVERYTHING TO FEAR if they continue to withold permission……leading either directly or indirectly to their son’s death. Not sure how this would pan out, but I know that if this was my child…….I WOULD SERIOUSLY CONSIDER SUEING GOSH FOR WILFUL NEGLIGENCE! So many hypotheses in this complicared and extremely distressing case. Money isn’ t everything, I know, but if it makes GOSH think twice about putting any other children and their parents through this……it will be more than worthwhile! Think on it, GOSH, while you still have time to do something positive (and compassionate) for Charlie and his family. Amazing how many people cling to conspiracy theories!! Also, amazing how doctors are bad and fear being wrong when doctors have developed potential treatments for this condition! If this treatment is vital and there is a conspiracy by a hospital then WHY HAS NOT ONE SINGLE AMERICAN DOCTOR SAID THAT THIS IS NEGLIGENCE! Physicians in the USA ARE PAID TO REVIEW CASES and give supportive depositions by law firms, but not one single U.S. physician has said that anything to support that what is happening is negligence. This is obviously a very tragic case, but there is no possibility of Great Ormond Street being sued for wilful negligence. It is very sad to say, but Charlie will die of his condition, medical therapy is simply not yet at the level where we would be able to do anything for him. This fails one of the tests of negligence (the but for test – harm must have occured which would not have occured but for their actions/lack of). And then it fails the second test which is the Bolam standard, which looks at whether a reasonable body of medical professionals would also have made this decision. The vast majority of medical opinion so far has said he shouldn’t be going to America, and the only doctor who has said he might respond to this therapy has never examined the patient. 2 of the 3 criteria for negligence have not been met, so GOSH know there is no possibility of successful legal action against them. As sad as this situation is, the hospital are acting in the best interests of Charlie. This is without any doubt a heartbreaking position for the parents to be in, but Charlie’s doctors are required by law to act in his best interests – and unfortunately in the case of his health, his parents simply do not know best. The outcome that Charlie will die is not what anybody wants, but his doctors are not ignoring a possibility that he might live, that possibility does not exist. They are human beings and want nothing more than for Charlie to live a long healthy life, but that is not the reality of this situation. My son is nearly 10 months old. I’d tear out my eyes for him and my heart swells for Charlie’s parents and Charlie himself. We’d do anything for our child. “Die with dignity”. I really feel that this is red herring. Charlie is in such a place that dignity is not something he is looking for. He doesn’t understand it. His parents want to fight to the last breath, literally and so they should. Surely “dignity” should be for them to know they exhausted all options. The money has been raised and GOSH have concluded that he will die. So, if he is to die, should you not allow him to leave the country and at least die trying? A single American specialist has agreed to try an unproven treatment for a large amount of money on a baby who is dying of an incurable disease. American doctors who make money out of vulnerable people should be demonised rather than suggesting that British specialists are trying to kill a baby. Look at what happened to Michael Jackson – some doctors are just in it for the money and this seems more prevalent in USA. Without knowing who the American doctor is, I think it’s hard to make judgments about their motivations or abilities. The sort of sycophantic doctors who cater to the rich and famous, such as Michael Jackson, are almost never engaged in medical research, where they are subject to peer review and scrutiny. As for the cost, as far as I understand it, American doctors usually do not have a say in the cost of their services, that’s determined by the insurance companies and the hospital administrators. I’m US-based, so I can’t speak to whether money-grubbing is more prevalent in the US than the UK (sadly, I wouldn’t be surprised if that were the case), but I also know many American doctors, and they all take their Hippocratic Oaths very seriously. I don’t think it’s fair to presume, without knowing more, that this American specialist doesn’t have good intentions. It is a matter of record that the treatment proposed by this American specialist will not address the severe brain damage which has left this poor child unable to control their own body. He seems to be basically conscious enough to feel pain and no more, and this will not fix that. The specialist has also openly stated that as they have not examined Gard, they might not be correct in their assessment of his condition. I would not question their good intentions so much as their opportunity to make an assessment. Is it really ethical to subject a child that everyone agrees is dying, and whose brain damage is irreversible, to a journey that might kill them before they get there, and then to an experimental procedure which won’t treat the brain damage, and might not even be applicable to the child’s condition in the first place? This is a heartbreaking case, but I strongly feel that if you look at the facts, the range of possible outcomes for poor little Charlie Gard basically consist of ongoing suffering with no real quality of life. The parents’ instincts are obviously to cling on, and I understand this- it’s heartbreaking to do and heartbreaking to watch and must go against all your emotional instincts as a parent. In the end though, the only thing that can be done is to let this poor suffering child go. It’ll happen now, or it’ll happen later after more suffering. The fact is that this hospital has spent months on legal action and could have administered treatment in that time, experimental though it may be. Instead, it has left the child in the alleged pain it says is the reason to turn of life support without testing -as it could have-whether the child will respond to the treatment. That represents a failure of basic logic and common sense, as well as overriding humanity. Not sure why that fact appears to have been missed in most of the commentary and the various court decisions. By now the parents and the hospital could have known for sure of the utility of proposed treatment. Major nismanagement and failure by GOSH. On the contrary, the hospital sought months ago to stop treatment that they felt was not in Charlie’s best interests. The long subsequent delay (which would have given time for a trial of treatment, and has doubtless caused suffering) was not predictable, and was not of their choosing. (see also other post). They have sought throughout what they felt was the best for Charlie. “They have sought throughout what they felt was best for Charlie” Who is ‘they’? It is not personification we need, it is a person we need. ‘They’ make it so detached and so not brave enough to express their views without using the umbrella brand of GOSH. Charlie’s parents have taken responsibility and are not afraid to show their face- that is brave. It is not just about Charlie’s life or death anymore- it is about who has the right to a life or who is permitted to kill a child without their parent’s consent. It is about CONSENT ,and not about saving face, pride or brand name of a hospital. GOSH as an organisation or Gosh as a collective of doctors, paediatricians and staff? GOSH the hospital or is it the government’s policies that has caused this legal battle! How many parents from GOSH has allowed life support to be turned off without their full consent, coerced consent and knowledgeable consent? How many children have been diagnosed to die and how many will be diagnosed or are in the pipeline to die after life support is turned off? This case is bigger than Charlie Gard. A hospital is made of individuals with families too, and what happens to Charlie Gard will effect everyone into the future. Imagine a future with government policies where doctors or hospitals are given full power to do as they please with their patients without the consent of their immediate loved ones- be it Euthanasia or assisted suicide. How easy would it be for that power to be mismanaged or misused even if it’s “the greater good” they seek! ” All the old age homes will get free beds easily when they want it, as the individual who lie there has lived a full life and can be left to die so that someone much more suited for life can occupy it” – the day we start thinking in those terms we have lost our humanity! -The day we start speaking greater good and stop thinking about the individual. A lot of great villains from history sought the greater good and aimed for pain and suffering to end, and they became dictators. Today the UK government and also their policies around child protection has gone to another extreme, wherein a child’s death is supposedly for his best interests! “They” are the doctors responsible for Charlie’s care. It is unsurprising they have not been named, and it is unreasonable to expect they would be named – that is not standard practice by any stretch of the imagination. As you correctly point out, GOSH is a collective group of healthcare professionals who care very deeply about helping the children under their care. If there was any possibility of Charlie living a healthy life they would be doing everything they could for him. You may not accept arguments relating to the likelihood of the treatment working. Instead consider what happens if it does work. Charlie is in unimaginable pain, and has irreversible brain damage, these things will not be treated by this therapy, Charlie would simply exist in the same terrible state for longer. And remember that this is a treatment which is overwhelmingly likely to fail anyway. Given the facts it is cruel, unfair and entirely unethical for the individuals responsible for his care to allow him to continue to suffer in this way. This isn’t about killing him, this is about acknowledging his time has come and the unfortunate reality is that his parents are not longer best placed to decide that. They have gone through one of the worst experiences imaginable, and one cannot blame them. They are grieving parents, struggling to come to terms with the death of their child – an entirely reasonable state for them to be in. However, Charlie’s time has come. Dominic, I am a lawyer and I can tell you that any lawyer involved in commencing proceedings in March on behalf of the hospital would or should have known that they would not be resolved in less than three months, no matter how expedited, because of the timeframes allowed under the applicable rules for appeals, including to the Supreme Court and the European Court of Human Rights. Those lawyers would or should also have known that no judge was going to allow the child to have his life support withdrawn while any legal proceedings or rights of appeal were on foot. That is a basic principle of law mandating that – to put it very crudely and inhumanely – the subject matter of the proceeding is not dissipated so as to render appeal rights futile. On that basis, the hospital ought have been advised that the proceeding commenced in March 2017 was not going to be determined until at least June 2017. It was as at March 2017 entirely predictable that the baby would need to remain on life support – ventilated and suctioned – until that time. In those circumstances, balancing the relative goods and harms seems to lead only to the conclusion that the hospital should in the interim had given the child oral treatment, while the legal proceedings took their course. Instead, the hospital left him in the alleged pain they claim he is in without taking all available steps to improve his condition. To assert that this is because they didn’t know how long the legal proceedings would take is entirely incorrect, unless of course the hospital was advised by the worst and most incompetent barristers and solicitors out there (which I do not think is the case). Dominic, I am a lawyer and I can tell you that any lawyer involved in commencing proceedings in March on behalf of the hospital would or should have known that they would not be resolved in less than three months, no matter how expedited, because of the timeframes allowed under the applicable rules for appeals, including to the Supreme Court and the European Court of Human Rights. Those lawyers would or should also have known that no judge was going to allow the child to have his life support withdrawn while any legal proceedings or rights of appeal were on foot. That is a basic principle of law mandating that – to put it very crudely and inhumanely – the subject matter of the proceeding is not dissipated so as to render appeal rights, and the exercise of the Court’s appellate jurisdiction, futile. On that basis, the hospital ought have been advised that the proceeding commenced in March 2017 was not going to be determined until at least June 2017. It was as at March 2017 entirely predictable that the baby would need to remain on life support – ventilated and suctioned – until that time. In those circumstances, balancing the relative goods and harms seems to lead only to the conclusion that the hospital should in the interim have given the child oral treatment, while the legal proceedings took their course. Instead, the hospital left him in the alleged pain they claim he is in without taking all available steps to improve his condition. To assert that this is because they didn’t know how long the legal proceedings would take is entirely incorrect, unless of course the hospital was advised by the worst and most incompetent barristers and solicitors out there (which I do not think is the case). there was an application to the court on the 28th February and a first hearing on the 3rd March. Justice Francis reached a decision on the 11 April authorising withdrawal of treatment. There have been other cases of disputed treatment. Decisions are reached in a variable time, but appeals are not inevitable. Most cases are not appealed. There was every reason to hope in February that decisions would have been reached much earlier than they have been. The succession of appeals (three levels of appeal plus a repeat hearing in the High Court) is unprecedented. It is those appeals that have resulted in prolonged provision of treatment that the court (in April) determined was causing suffering and not in Charlie’s best interests. My (uneducated) theory is that the hospitals are preventing the treatment because Charlie’s condition is connected with side effects associated with vaccines, specifically the quantity of aluminium in them. Like it or not, vaccine manufacturers hold a massive influence over hospitals (and politicians) because of the amount of money involved and they don’t want negative cases of side effects making it into the news. Charlie’s history? Born in August (probably given Hep-B shot), was initially developing normally but parents were concerned he wasn’t gaining weight (so he was probably below the 5kg average weight at that stage), so his parents took him to see a doctor in October, two months old and probably AFTER just getting Charlie his 2 month vaccines, and he was hospitalised a week later. Coincidence? That’s a pretty big coincidence! Aluminium is one of those substances where it’s REALLY hard to find any studies done to work out how long it takes to leave the system (biological half life), so there’s not really any way to calculate how much aluminium was in his system before he had his 2 month lot of vaccines, which might have pushed his little body over the edge. The ‘experimental’ treatment (that’s actually not as experimental as the media claims) probably works by reducing the levels of toxic metal in the body and hopefully allowing his little brain to heal and start developing. Of course, you mention aluminium levels in vaccines and you’ll automatically be labelled a nutter. I’m going to be carefully selecting the vaccines my children get and spacing them out as much as possible. I recently found out that the stock standard products administered where I live results in 945mcg being injected at the 2, 4 and 6 month times when alternatives available (splitting out the vaccines into individual diseases) can bring it down to as little as 460mcg (less than half! ), which you can even have spread across weeks or months if you want! The best analogy I can think of is the recommended daily intake of alcohol is 2 standard drinks per day with a maximum of 7.5 drinks (or less than 4 days worth) in a single sitting. What the vaccines are doing is effectively giving a newborn baby 30 days worth of aluminium on day 1 of life. Would many people survive drinking 60 standard drinks in a single sitting? I doubt it. Dominic, we can agree to disagree but it is difficult to accept your view that the hospital would not have foreseen that the parents would likely appeal, given that the hospital was the one that applied to the court in the first instance. I would be confident in expecting that the hospital’s lawyers advised it as much at the time when it thought about commencing proceedings. Further, and in any case, why wasn’t treatment given in April when it became obvious the parents would appeal? The hospital has acted in a manner that in all honesty objectively appears to be the height of uncaring, thoughtless paternalism. Sure, I don’t think we are likely to agree El El. 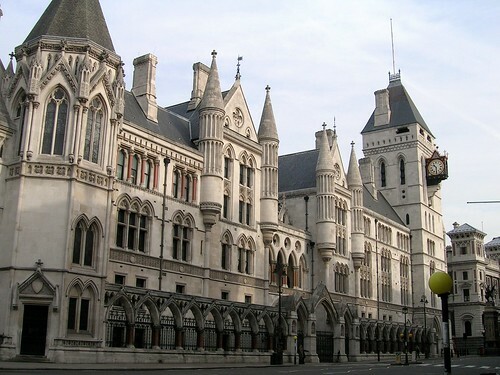 You probably have reviewed the relevant precedents in the UK. There are (by my estimate) at least one to 2 cases of disputed, ostensibly futile treatment in children that reach the courts every year in the UK. Most (but not all) reach a decision not to provide treatment that the medical team regards as harmful/lacking benefit. Most are not appealed. Of those that are appealed, further appeal to SC/ECHR is rare. The Court of Appeal reached its decision in three weeks after the parents appealed. Dominic you are part of the problem. One of the arrogant elitist group who call themselves doctors. British doctors are backward as is the health system. I had psa testing and proton beam therapy twenty years ago in the states that cured my prostate cancer. The UK medical profession is still fighting the use of psa testing and only now has one proton beam facility been built. Why did Gosh have these hearings behind closed doors? What decisions are they hiding? Is it the money or are they frightened about the patient being in control of their medical decisions? I don’t trust elitist like you who are just feathering their nests and certainly Gosh and the NHS have lost a lot of credibility over this case. This follows the same model of the case where the NHS had the parents arrested of a little boy who had a brain tumour and wanted to have him treated with proton beam therapy in another country. Fortunately the parents succeeded but not with help from the UK doctors, the NHS or the judical system. You should be arguing to prevent these cases not arguing for them which is why you are part of the problem. That’s of course fine, but I just think that you excusing the hospital here from responsibility for withholding treatment in what were foreseeable circumstances is unrealistic. No disrespect intended. However, in these matters of life and death, the institution ought to be held to a much higher standard. It has acted reprehensibly in this case and should be held accountable. Also, in my experience, institutions ordinarily factor in appeal times and rights in commencing legal proceedings. I imagine the parents would have told the hospital they will appeal all the way. Irrespective of the existing precedents, the circumstances here would have most likely put GOSH on notice that the legal proceedings would be protracted. I would not be so quick to excuse a state institution for potentially permanently affecting a child’s chances of survival – in this case, I think they are to be held to the absolute highest standards of conduct, and to be held to have acted below those applicable standards. Surely the Doctor(s) in the USA offering to provide the treatment should be invited to UK to make a thorough examination and assessment of Charlie. It can then be established whether or not he/she/they still think that the treatment could improve the child’s condition. This would of itself avoid taking Charlie on a trip to America which may cause him tremendous stress and discomfort. And from which he might not recover and return alive. I know that it must be very difficult in these circumstances to take an objective and not entirely emotive view – but that’s what Charlie needs right now.